The BMW 4 Series is one of the most popular cars to in the German brands range. It's also one of our most popular cars to lease. The 4 series comes in 3 versions, all of which are really fun to drive with good build quality. As well as the coupe, there's a convertible and Gran Coupe. 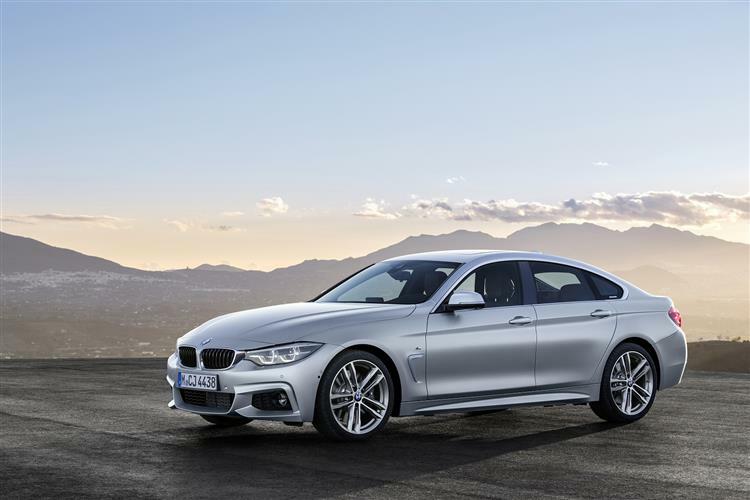 We have some great BMW 4 Series lease deals at the moment. Take a look below and contact us if you need any help. We have also written some mini reviews of the 3 version. See below for more info. The new BMW 4 Series Coupe is really fun to drive. As well as being stylish, it manages to fuse comfort and space perfectly. After first being available to lease in 2014, the car received an update during 2017. BMW gave the popular car a good makeover. As well as a new upgraded cabin it saw updates . As well as the interior, the 4 Series saw a nice update to its styling. There is plenty of space in the front and really practical. Something you don't always get with a coupe. In addition, there's a good amount of space in the rear seats and a big boot space. We think it's on the best cars of its type in this respect. Although it doesn't have the luxury feel of the Mercedes C Class Coupe, it's still an amazing car. The angled dashboard and low driving seat gives it a super sporty feel. Another thing we love is the BMW iDrive system, It comes as standard and is possibly the best infotainment system on the market. It's easy to control and sports really well laid out menus. You can easily control the cars sat nav via the rotary knob between the front seats. We loved driving the 4 Series and it feels more sporty when comparing it to the Audi or Mercedes. The steering is really accurate and the suspension is great when driving round bends. There are a number of upgrade and engine options. Please contact us to find out more. As with other BMWs, the build quality is second to none. if you're looking to lease a BMW, this would make a great choice. The BMW 4 Series Gran Coupe is now 6 years old. It was first launched in 2013 and finally saw some updates in 2017. There were a number of improvements such as new sharp looks, better engines and new LED lights. BMW managed to make its engines more powerful whilst keeping them just as efficient. If we were to compare to another car, it would be the Audi A5 Sportback. Both cars are similar in size and quite often their lease prices are near to each other. When you sit in the front of the Gran Coupe you cannot help but feel impressed. It feels solid and the build quality is superb. Yes, the Audi A5 Sportback has a better looking cabin, but this is still great inside. One of the areas the Gran Coupe beats the Audi hands down is the Infotainment system. The iDrive system is the best on the market. It features simple menus, it's easy to navigate and really colourful too. Even if you're not great with tech, you'll find using the iDrive a doddle. There is more than enough space in the front of the car, but not so much in the back. Due to the front seats and roof slope there's not much headroom in the rear. It's not the best car choice if rear comfort is important to you. If you regularly have rear passengers, perhaps consider a BMW 3 Series saloon instead. Surprisingly, the BMW is actually a really practical car. It has the same amount of boot space as the 3 series saloon. But it's easier to load and unload much quicker. This is due to a large hatchback style opening. In addition, when you fold the seats down the boot space is just as much as some estate cars. As with the 4 Series Coupe, there's a good amount of engine choices on offer. You can select a nifty 6 cylinder engine, or go with a more fuel efficient diesel engine. Your choice. Whichever engine you go with we guarantee you will love driving the 4 Series Gran Coupe. There's good grip for cornering and it feels really stable when driving at speed on motorways. The adaptive dampers are fab. If you would like help deciding on engines for your car, please contact us. We want to make sure you love your lease car. The BMW 4 Series Convertible is a great alternative to the Audi A5 Cabriolet. It's really comfy to drive and comes with the brill iDrive system. Storage space and rear seats aren't the most practical though. So if that matters to you, perhaps consider leasing one of the other 4 Series. Sporting BMW's iconic grille and headlights, the interior of the Convertible is identical to that of the 4 Series Coupe. It will come as no surprise the functionality and build quality is top notch. It comes with the same industry leading in car system, the iDrive as the other 4 Series. The screen is a nice size at just over 6 inches. It's worth noting that the M Sport version has a 10 inch screen. While testing the car we found it really comfy to sit in. As well as this the cabin has good quality finish. But this is something you would expect from a brand such as BMW. As we touched on earlier, as with most open top cars, it's not great space wise. Especially from a rear passenger point of view. But let's face it, you aren't thinking of leasing a convertible with your rear passengers in mind are you. Boot space is decent, when the roof is up with a 370 litre capacity. With the roof down, it's a different story. The boot space ends up at only 220 litres. You'll have enough for a shopping trip, but that's about it. On the plus side, the kit inside the 4 Series Convertible is quality. There's a host of cool features such as satnav, internet and auto air con. As well as those, there are a number of safety features. These include front and rear parking sensors, emergency call and auto start & stop. The entry version sports a 420i engine and is quite speedy. It takes just over 8 seconds to go from 0 to 62 mph. if you want a more speedy engine, take a look at the 440i. That will shave around 3 seconds off the 0-62 of the 420i. This will obviously cost you more to run. No matter which engine you choose, the ride will be really comfy. We found the car to have a nice, smooth suspension. Talking of smooth, the auto gear box is super smooth. In our opinion, much better than the manual. If you're looking to lease a car for the summer, this would make a great choice. If you need any help finding a car, please contact us.